Happy Tipsy Tuesday everyone!! I hope you all had a wonderful Memorial Day weekend with lots of good food and family fun. It was pretty quiet here. Ever since Miss Picky Pants moved to CA the rowdiness factor has reduced a bit in my house. She was my “partner in crime” a lot so I am kind of like Batman without Robin right now. She is doing really well, so my discomfort it easily put in the backseat to her future life. Besides the fact that my plan is that we wont be away from each other long. I may be moving back to California soon!! Anyway, enough about my life, let’s get on to the fun, and the booze. I mean this IS Tipsy Tuesday right? As I mentioned last week, my son, the super bartender, was out of town so I was left to my own devices to come up with a tasty drink for you all. This week I had several ideas, one included blood oranges, but there were no blood oranges to be found. He told me about a drink he makes quite a bit and it sounded awesome. I adore peaches. I almost grilled some on the BBQ this weekend but was told very quickly that I had waaaaay too much food already planned any more was unnecessary *insert huge foodie pout here* Needless to say, a peach drink sounded fantastic to me. This drink is so simple, only a few ingredients, that way you can enjoy your drinks without stressing out over how much of what thing goes where. Fill glass with ices, add equal parts o schnapps and Crown Royal. Top with orange juice and stir. 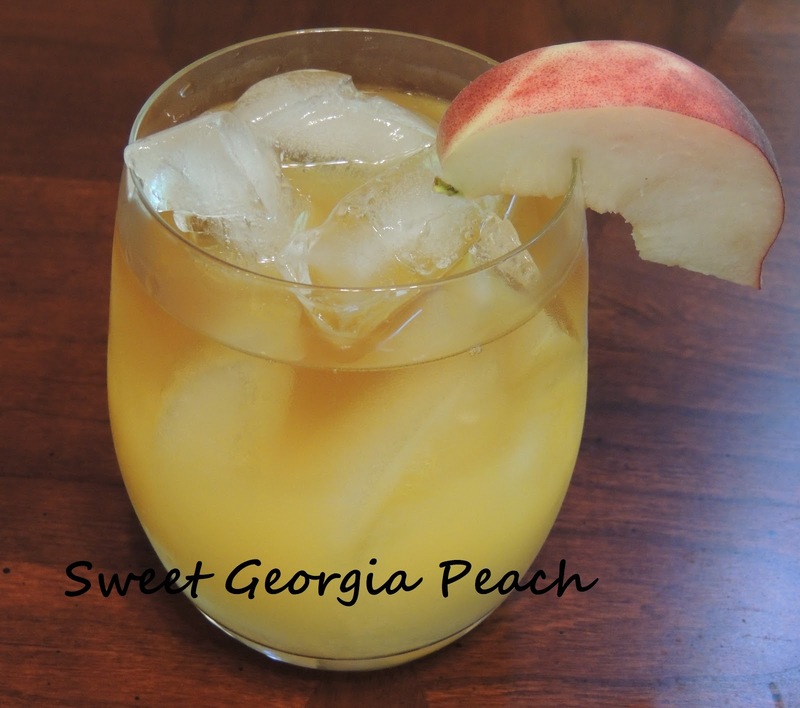 Garnish with peach slice and serve.